CANDIDE, Leonard Bernsteins comic classic, will have its Los Angeles Opera premiere, Jan 27-Feb 18, 2018 at the Dorothy Chandler Pavilion. The production, directed by Francesca Zambello and conducted by James Conlon, will mark Bernsteins centenary year. Jack Swanson and Erin Morley are the lead singers. 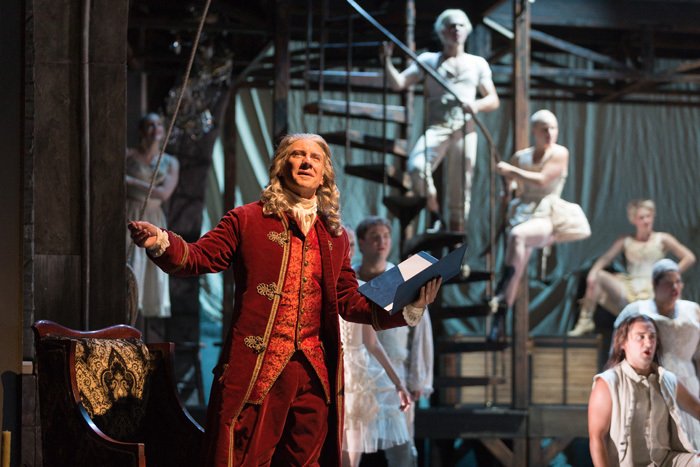 Free-wheeling, satirical and soaring, CANDIDE takes the audience on a round-the-world romp. Brimming with youthful innocence and basking in love, Candide is certain that he lives in the best of all possible worlds, but an unrelenting series of ridiculously unfortunate events make him question everything he has been taught. This Candide is swiftly paced...with the bite of Voltaires satire emerging through the text, the brilliant lyrics and Bernsteins sparkling music, said the Wall Street Journal.